Paleo Food List > Is Crab Paleo? When we say you should be eating plants and animals, that includes shellfish, and yes crabs are shellfish. They may be mobile and capable of hunting down their own food, but they’re still sea creatures that are encased in shell. 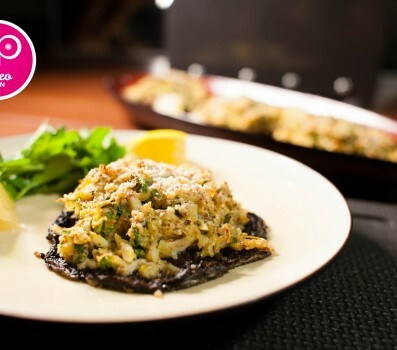 Like most shellfish, crab meat is extremely nutritious. It contains a fair amount of magnesium, selenium, and zinc. If you eat the connective tissue and organs along with the muscle meat, you’ll likely be getting an even higher dose of healthy fat and micronutrients, so don’t stop at the legs. Keep going until you’ve sucked all the delicious nutrients out of that shell. Unlike shrimp, crab is caught wild, rather than farmed, so you shouldn’t have to worry about antibiotics or animal waste making its way into your food. For more reasons to eat crab, Mark Sisson has an excellent guide to shellfish.